Indigenous healers and shamans have known since antiquity that plants possess a spirit essence that can communicate through light, sound, and vibration. Now scientific studies are verifying this understanding. 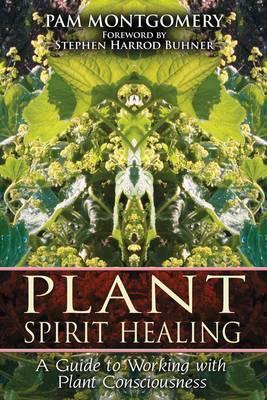 Plant Spirit Healingreveals the power of plant spirits to join with human intelligence to bring about profound healing. These spirits take us beyond mere symptomatic treatment to aligning us with the vast web of nature. Plants are more than their chemical constituents. They are intelligent beings that have the capacity to raise consciousness to a level where true healing can take place. In this book, herbalist Pam Montgomery offers an understanding of the origins of disease and the therapeutic use of plant spirits to bring balance and healing. She offers a process engaging heart, soul, and spirit that she calls the triple spiral path. In our modern existence, we are increasingly challenged with broken hearts, souls in exile, and malnourished spirits. By working through the heart, we connect with the soul and gain access to spirit. She explains that the evolution of plants has always preceded their animal counterparts and that plant spirits offer a guide to our spiritual evolution--a stage of growth imperative not only for the healing of humans but also the healing of the earth. NATURE / HERBAL HEALING"This is a profound work. Written with a clarity and depth of understanding that only someone deeply attuned to their subject could master. Pam Montgomery weaves indigenous wisdom, modern research, science, and quantum physics into a vibrant testament of the sacred and powerful nature inherent in plant medicine. The message transmitted through every page in this amazing book is bound to change our perception of herbal healing--and of medicine in general." --Rosemary Gladstar, herbalist and founder of United Plant Savers and author of Rosemary Gladstar's Family Herbal"A blessing of a book. Pam Montgomery's writing shines with what Hildegard of Bingen called viriditas--the healing power of the Green. It is filled with the wisdom of a real herbalist." --David Hoffmann, FNIMH, AHG, author of Medical Herbalism and Herbal Prescriptions after 50Indigenous healers and shamans have known since antiquity that plants possess a spirit essence that can communicate through light, sound, and vibration. Now scientific studies are verifying this understanding. Plant Spirit Healing reveals the power of plant spirits to join with human intelligence to bring about profound healing. These spirits take us beyond mere symptomatic treatment to aligning us with the vast web of nature. Plants are more than their chemical constituents. They are intelligent beings that have the capacity to raise consciousness to a level where true healing can take place. In this book, herbalist Pam Montgomery offers an understanding of the origins of disease and the therapeutic use of plant spirits to bring balance and healing. She offers a process engaging heart, soul, and spirit that she calls the triple spiral path. In our modern life, we are increasingly challenged with broken hearts, souls in exile, and malnourished spirits. By working through the heart, we connect with the soul and gain access to spirit. She explains that the evolution of plants has always preceded their animal counterparts and that plant spirits offer a guide to our spiritual evolution--a stage of growth imperative not only for the healing of humans but also for the healing of the earth.PAM MONTGOMERY has been investigating plants and their intelligent spiritual nature since 1986. She is a founding member of the Northeast Herbal Association and is on the advisory board of United Plant Savers. The author of Partner Earth: A Spiritual Ecology and contributing author in Planting the Future, she is a practicing herbalist and plant spirit healer who offers trainings and treatments from her home in Danby, Vermont. Pam Montgomery has been investigating plants and their intelligent spiritual nature since 1986. She is a founding member of the Northeast Herbal Association and is on the Advisory Board of United Plant Savers. The author of Partner Earth: A Spiritual Ecology and contributing author in Planting the Future, she is a practicing herbalist and plant spirit healer who offers trainings and treatments from her home in Danby, Vermont.